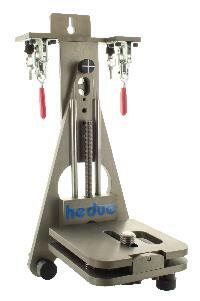 Alignment and height adjustment in the millimeter range with the robust and stable device holder. 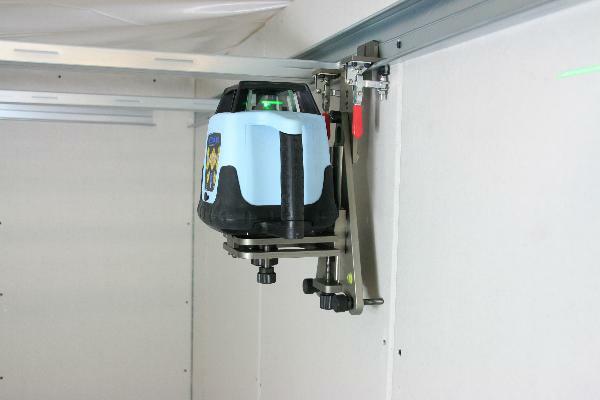 The tripod is suitable and convinced by the design of solid metal with high stability both for wall and ceiling work. 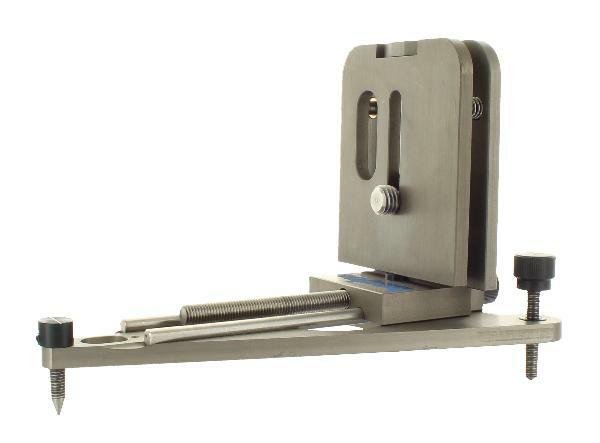 With the fine adjustment of the rotating laser can be free from vibration positioned horizontally or vertically. The laser always remains in his leveling. 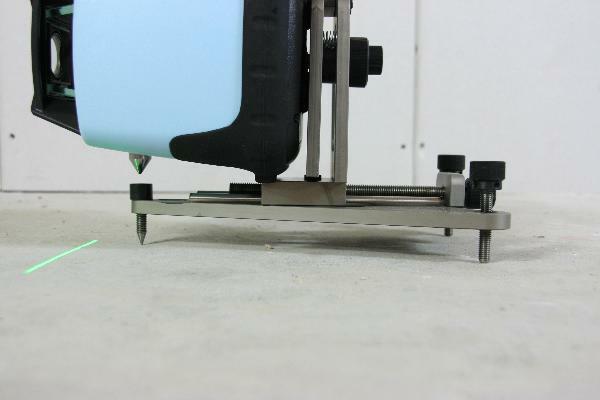 Using the precision engineering can be brought millimeter to the desired position after the device has been pre-aligned roughly the laser line. This is easy with the bubble level and three adjustable feet. For ceiling work a removable quick-enables clean and easy attachment of profiles or supporting structures.